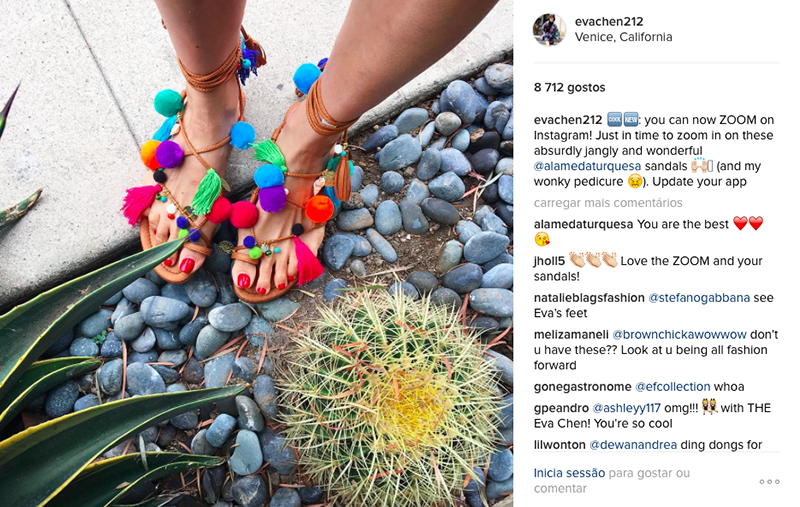 We are beyond excited to tell you that Eva Chen, Instagram’s head of fashion, had chosen our Matisse pom-pom sandals to announce that you can finally zoom in on instagram! Eva said “You can now ZOOM on instagram! Just in time to zoom in on these absurdly jangly and wonderful @alamedaturquesa sandals (…)” We love you Eva! And we love to see you with our iconic Matisse Sandals!